What's there: Home of the Annual Black Mountain 30Km Nordic Classic Ski Race, a Michigan Cup event! 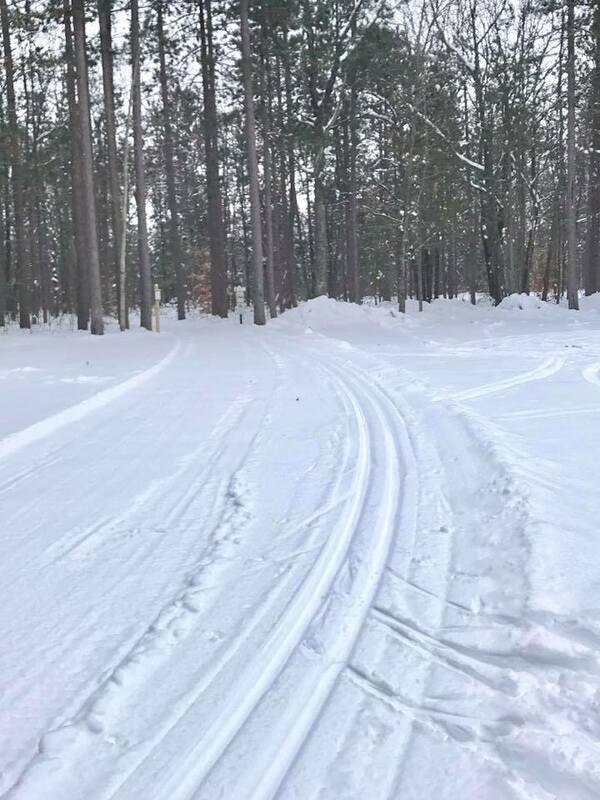 30 miles groomed double-tracked cross-country ski, hike, bike and horseback trail. A separate six-mile skating lane meanders around the lower portion of the mountain. Well maintained. Parking lot, toilet and informal bulletin board with maps. Take M-211 north to County Road 489. Right on Country Road 489 to Town Hall Rd. Straight on Town Hall Rd. to DNR parking lot. (Town Hall Rd. becomes Twin Lakes Rd. at Cheboygan county line). Left on Country Road 646 to stop sign. Right on Country Road 646 (Town Hall Rd.) to DNR Parking Area. M-33 south to Orchard Beach Rd. East on Orchard Beach Rd. to Black River Rd. Right on Black River Rd. to Twin Lakes Rd. Left on Twin Lakes Rd. to DNR parking lot.